Houston Oaks is an 18-hole golf course centered in the heart of horse country. Only a 15 minute drive from downtown Lexington, we service special events from all over Central Kentucky. 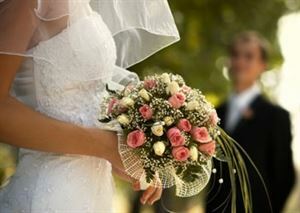 We have beautiful indoor and outdoor ceremony and reception options that can fit any style. We really excel in our flexibility and dependability. We allow any and all outside caterers, and have a venue coordinator located on-site. The Round Barn is a lovely, historic location for special events located in the heart of Lexington. Offering a rustic but elegant atmosphere the Round Barn has a tremendous amount of character with its wooden beams, exposed brick, and a gorgeous chandelier running through the center. The facility?will seat?around?250-300?guests for a full dinner. The second floor may be used for cocktail hour, photo booth area, games and more. ?Facility rental for the Round Barn ranges from $2500-$3000.?? A little note about us :) We are focused on having the whole package here to make your wedding planning easy! ?Our facility rental includes tables, chairs, linen, set up and clean up. You have access to the space prior to your event to decorate and 6 hours of reception time.?? Bayou Bluegrass Catering is the exclusive food and alcoholic beverage provider for our venue.